This lovely jumper is one of those key pieces you can mix and match perfectly. Made by our friends at Mayoral in a lightweight knitted cotton, it's patterned with blue and white stripes, with cute little sailboats embroidered on the chest. Smart, easy to wear and exceptionally stylish, it's a piece he'll want to wear time and time again. It's a great piece whatever the occasion - either with smart trousers for a special occasion or jeans for a casual day at home. The details are lovely - we love the striking sailboat embroidery. 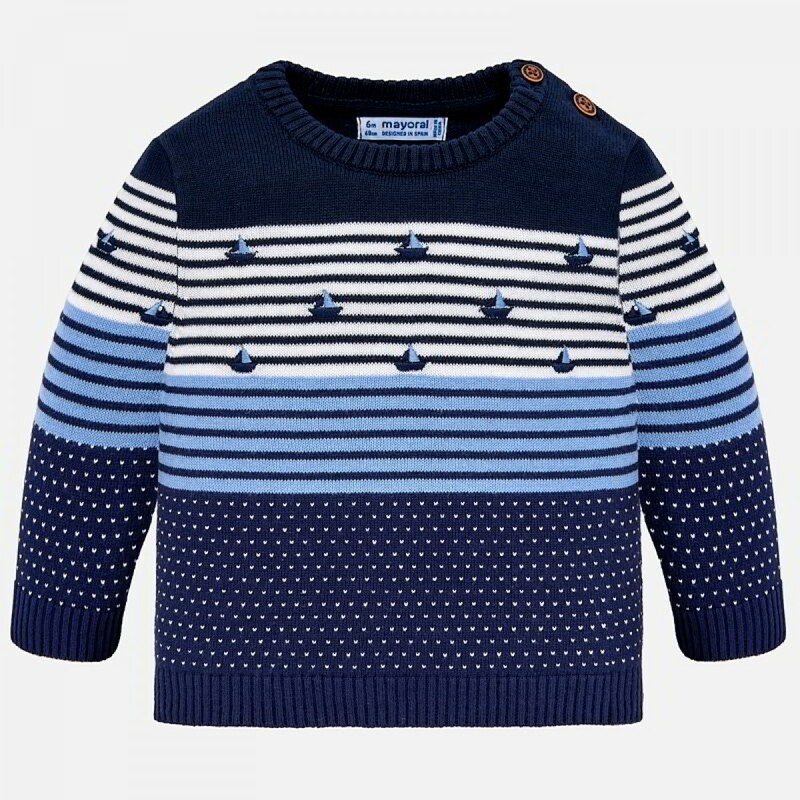 It's a jumper with a style that you just don't see every day, so your little man will be able to rock a really distinctive look this season.